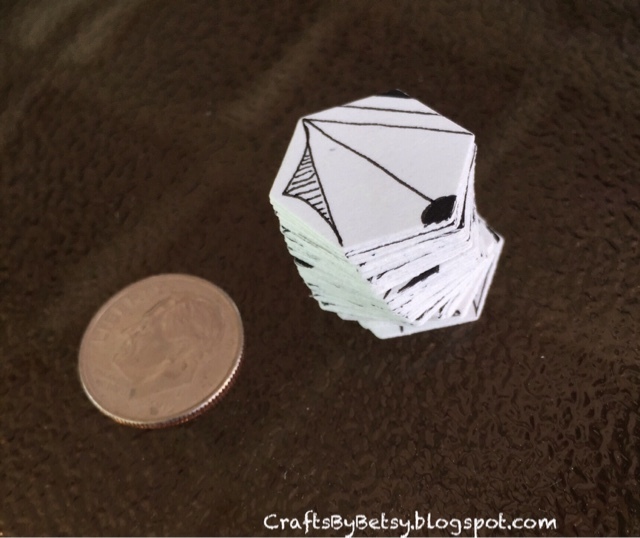 by Betsy: Hex 1 fragments - or puzzling with hexagons! Reticula and Fragments. A different way of talking about grids and grid patterns but inclusive of different shapes. 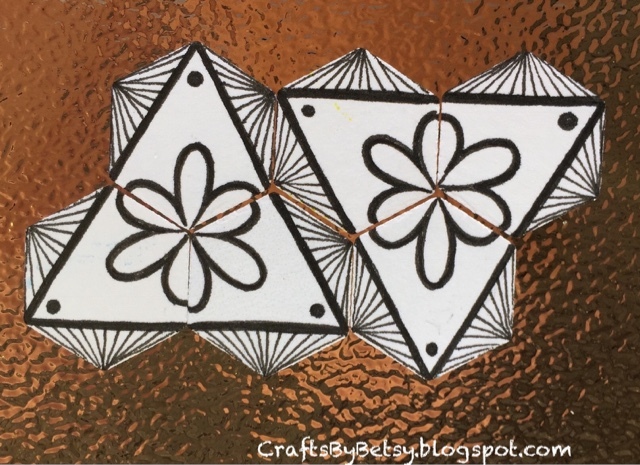 After all, in the Zentangle® world our grids can be much more than squares and rectangles. 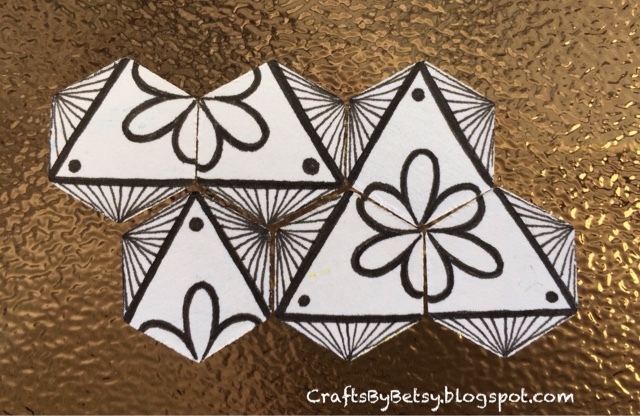 If you are considering buying the Zentangle Primer vol 1, there is a whole chapter, or lesson on Reticula and Fragments. They've been around for awhile. 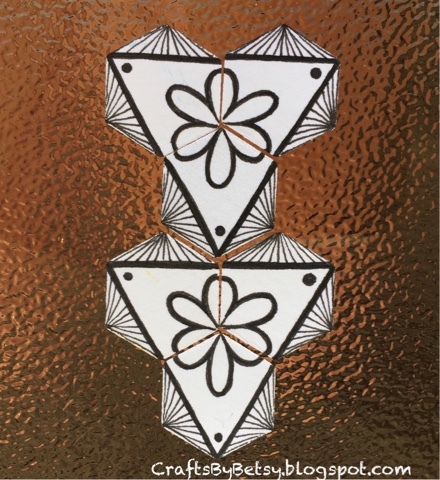 I think it started, for me at least, with this Zentangle newsletter post. (So if you don't have the Primer, this is another very good reference document.) Eventually, I was filling in Tripoli, and ING and more recently, this hexagon card (Consider this post Hex 1A fragments) and Molygon even was lost in it's fill pattern. Who knew? triangles from that first fragment! I hope you play along too. 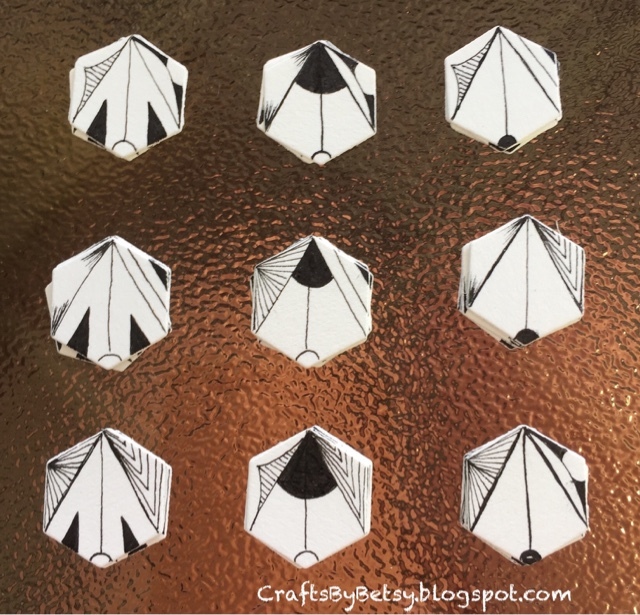 If you're a die cutter, check your stash of dies to see if you have any repetitive geometric shapes that you could use. But you don't need a die! 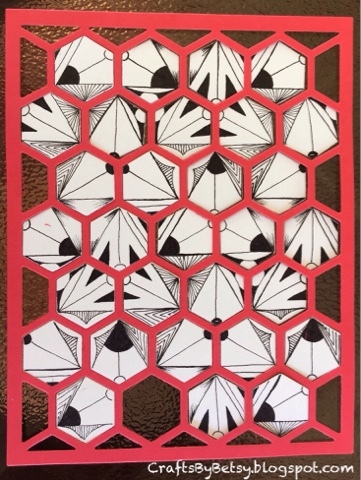 How about cutting the same shape by hand. 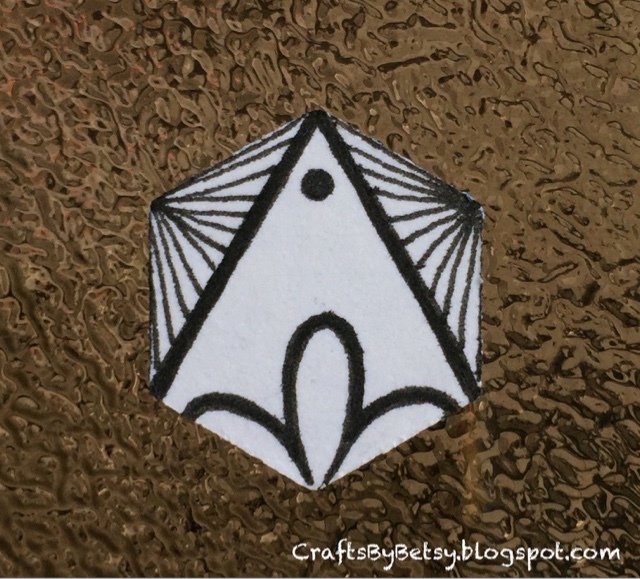 Maybe you have a stencil that has basic geometric shapes? Squares and rectangles are pretty easy to cut by hand. Or, what about drawing a "grid", cutting out each shape to fill and later put back together and rearrange? 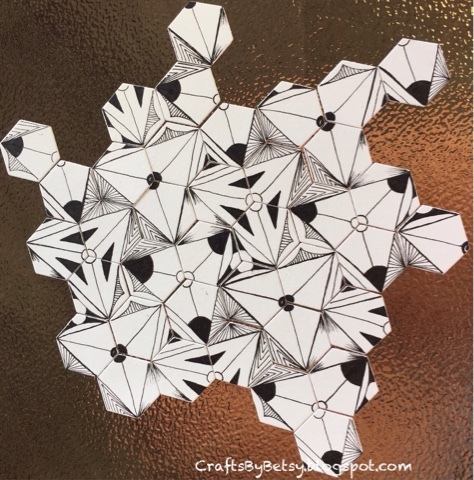 Or, use your bijou tiles as large fragments....you get the idea, just play around with repeating patterns, tile rotation and mirroring and just play! Make it into a puzzle! This shows the size and that I had several of these! And an example of fitting them together! Check back as I intend to put up several posts a week until I've shown you my examples. And since I can't seem to quit, it should last at least until something else catches my eye! Another fun example from the "Grid (Un) Locked" is The Diva Challenge #122. Wonderful idea, with so many possibilities for tangling and crafts! Thank you for sharing this delightful idea! I am providing links for all 7 in this series to the 3000+ members of my Facebook group. Thanks for being such an inspiration! These are beyond fabulous.